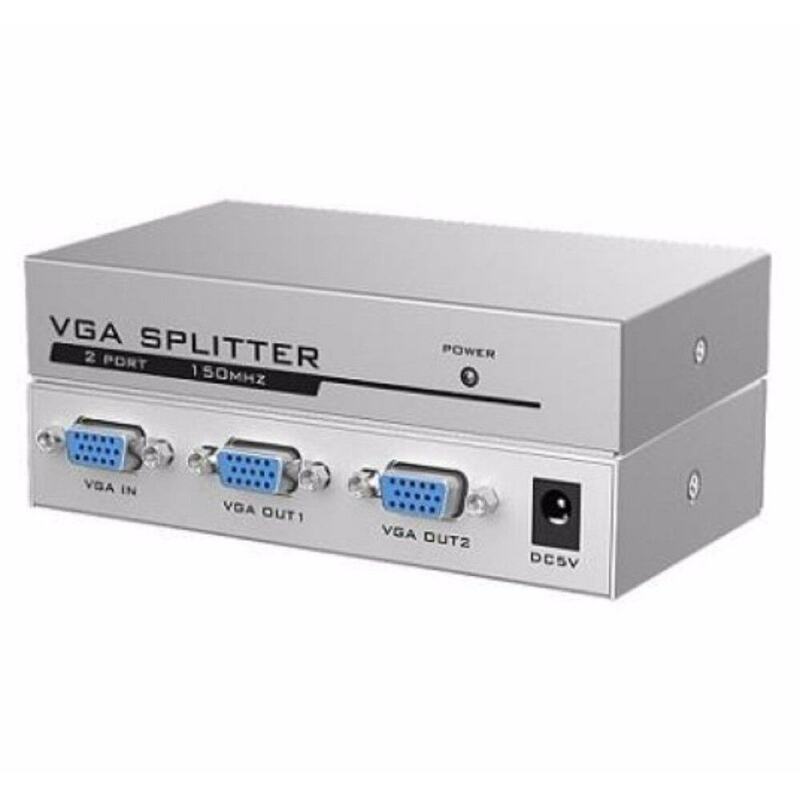 A VGA signal from computer display device to connect to 2 VGA output. With up to 150MHz. To be widely used in broadcasting video information, class room or company training facililties.